When one is born from cultural womb of Assam, there is no escaping from Dance and Drama. On 1st February,1955 Jibanjit Dutta was born in Garamur Sattra, Majuli. Dutta received his training in Sattriya Dance and Drama under the able guidance of Sangeet Natak Academy Awardee, Adhyapak Roseswar Saikia Borbayan. Nrityacharyee Jatin Goswami of Guwahati, the acclaimed dancer also provided lessons to Jibanjit Dutta. His inclination towards dance instilled within him the urge to discover other forms of dance too. Thus, he approached Late Nabin Chandra Bora to learn other creative dances. Dutta was among few talented people, who can take passion and profession at parallel. In 2015, he retired as an Assistant Producer from Directorate of Information and Public Relation, Govt. of Assam. Jibanjit Dutta established Natan Sattriya Academy and imparted training to many upcoming talents of the state. Dutta was culturally connected to the roots of Assam, even to its remotest corners. He was a member of scholarship selecting committee of C.C.R.T. New Delhi, the Secretary of Sadou Asom Sattriya Sangeet Sikshak Samaj and a member of Srimanta Sankardev Kristi Sangha, Garamur Sattra, Majuli. He took his last breath on 29th February, 2016. However his legacy remains and is carried forward by his son Borish Dutta. As one of the foremost Sattriya dancers, he had performed in numerous festivals organized at different parts of the country viz- Jalandhar, New Delhi, Manipur, Kolkata, Arunachal Pradesh, Kohima, Kerala, Bangalore, Mumbai and many others. Dutta’s latest dance compositions were Krishna Vandana, Guru Vandana, Vishnu Vandana, Ram Vandana, Sisu Lila, Abhimanyu Badh, Keli Gopal, Pakhua Nritya, Gopi Birah, Bagali Badh, Sita Haran, Parijat Haran and Ajamil Upakhyan. Furthermore, he was enlisted as a regular trainer of Srimanta Sankardev Kalakshetra, Guwahati on Sattriya dance. Jibanjit Dutta has dance directed Sattriya dance in the critically acclaimed Assamese feature film ‘Kadam Tale Krishna Nache’. He has also choreographed in a couple of more films, a documentary film by Asomi Dutta Barua based on the life of Rudra Barua and a VCD film ‘ Nandera Nandan’ by Anjali Rai Choudhury. He acted in several dance dramas, bhaona, theatre, mobile theatres and in Assamese features films viz. 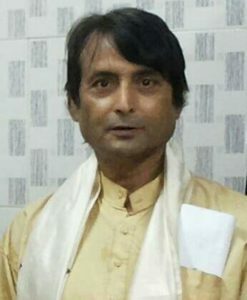 Sri Sri Maa Kamakhya, Ranganadi and Kadam Tale Krishna Nache.In 2006, he received the best choreographer award by the satellite channel NE TV for his excellent direction of Sattriya dance in Assamese feature film, ‘Kadam Tale Krishna Nache’. He is also proficient in costume making required for dances and Ankia Bhaona performance.